All your life you’ve been saving for retirement. But now that it’s here, you’re wondering if it will be enough. Older Americans fear running out of money more than death, according to several recent studies. That fear, unfortunately, is based on fact. Almost a third of Americans 55 and older have no retirement savings at all. Social Security is the only source of income for about a quarter of Americans 65 and over. No wonder, considering companies are abandoning pension plans like rats on a sinking ship, and fewer are offering retirement savings plans. Many companies that do offer retirement plans are not matching employee contributions at the levels they did in the past. Write down your goals for retirement. Do you plan to travel? Are you thinking about embarking on a second career? Write down your income, expenses, and all types of savings/investments accounts. For investment accounts, include any restrictions on when you can access them. Estimate the value of your home and other assets. CNN offers a calculator to determine how much you’ll need to save for retirement. The calculator is based on current and projected income and current savings rate. AARP offers a helpful retirement planning calculator here based on projected lifespan, lifetime earnings and more. You choose whether you plan to live modestly, comfortably or extravagantly after you retire, and it calculates whether you can afford that type of lifestyle with your finances. It also provides options to ensure you don’t experience a shortfall. If your savings come up short for the type of retirement you’d like to experience, you have 3 choices—save more, delay retirement or reduce your retirement expenses. You can save more by putting money into secured accounts, such as a money market fund, an FDIC-insured savings account, a certificate of deposit or even gold. The potential for gain is much less than with investing, but so is the potential for loss. If you plan to invest, consult a financial advisor to determine the correct mix of stocks, bonds and other investments. The younger you are, the safer it is for you to make more profitable but riskier investments. While you can, it’s always a good idea to participate to the maximum amount in your employer’s sponsored retirement plan. 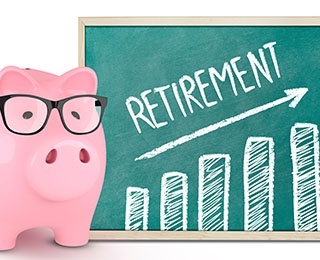 Some plans offer opportunities for additional saving for employees who are 50 and older. Total return portfolio targets a 10- to 20-year average annual return that meets or exceeds your withdrawal rate. Retirement income funds automatically allocate your money across a diversified portfolio of stocks and bonds. Immediate annuity ensures future income by giving a lump sum payment to an insurance company in exchange for guaranteed income for a set period of time, usually lifetime. Bonds, among the safest investments you can make, give you interest for a period of time until the bond matures, when you receive your principal back. Rental real estate is a good investment IF you have a good management company and a good rental environment. Trying to do it yourself can be a nightmare. By delaying retirement, you not only have additional time to save, you delay receiving Social Security. You receive approximately 8% more in benefits for each full year you wait after you've reached retirement age. The result may be having more money to spend during your retirement. If your employer offers a pension, work as long as possible. Such benefits are few and far between. Another advantage is that you can continue to receive employer benefits, such as health care, if you continue working. Thanks to mobility and technology, more older adults are delaying retirement or supplementing their retirement income with second careers. Whether you’re considering proctoring exams for a few extra dollars, teaching online, or going into a new field, an encore career can bring in much-needed cash that prevents you from digging into your retirement savings. Arguably the most difficult option is to reduce your retirement expenses. However, considering you’ve likely become accustomed to a lifestyle based on your income, it may be easier than you think. The easiest way most retirees reduce expenses and generate income is by selling their home and downsizing. Not only do you receive profit from your home, your taxes, repair, and maintenance expenses at your new home are likely to be significantly less. And you may be able to exclude profit received from the sale of your home on your taxes. No one likes to think that they’ll become disabled as they grow older, but most people do experience a decline in hearing, vision, or mobility. Similarly, few people expect their lives to change drastically, but it happens. So it’s best to plan in advance rather than wait until you and your family must make emergency decisions. Purpose: You’ve always had goals. What will your goals be when you retire? Research indicates that people who work longer in life stay healthier and posit that the causes are social engagement and a sense of purpose. How do you plan to retain those during retirement? Finances: What is your back-up plan if you experience a financial disaster similar to the Great Recession? Is your portfolio diversified enough to survive? If you’re the victim of a scam artist, what can you do? Are you prepared if a family member becomes injured and needs financial help? Family: If you’re close to your family, are you planning on moving if they do? Can you count on family members or friends to be your support system? Health: If you’re planning on staying at home, make modifications before you need them. Among the most popular modifications are better lighting, wider doorways, ramps/elevators, and grab bars. Research the availability and cost of home health services. Consider long-term care insurance or a continuing care retirement/life plan community that will help you if your health declines. These communities provide an active lifestyle for residents, as well as options for care when you may need them later. Planning for future needs will provide peace of mind for you and your family members. Not only is Kendal at Oberlin a life plan community that offers a wide range of services, we encourage older adults to make the most of new opportunities and relationships. Our programs and environment are designed to enhance the physical, mental and social health of residents. Similarly, residents guide the life of our community, developing intergenerational, college, and community bonds that benefit all involved. 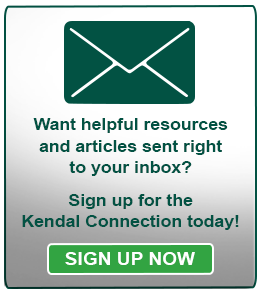 Becoming a member of the Kendal community begins before you move in when you join the Priority or Waiting/Read lists. Priority List members receive invitations to special events, access to dining and meeting rooms, discounts on fitness center memberships, and annual updates on fees and finances. Waiting/Ready List members are ready to move in. They’ve completed the application process with health history, financial statement, and personal information forms. After we schedule an admission interview and review your application, you’ll begin to receive calls when cottages or apartments become available. If you’re interested in learning more about how to include Kendal in your plans, call us at 800-548-9469 or 440-775-0094 or contact us online.